If you have been patiently to enter the 3D printing world, but have been waiting for a low-cost 3D printer to go into production. The new South African designed 3D printer might be worth more investigation and will soon be launching. Unfortunately at the current time the 3D printer doesn’t have a product name and has been referred to internally as the ‘Babybot’. However it now offers a 200 x 200 x 150mm print area which is bigger than the originally planned 100 x 100 x 100mm, so the name no longer fits the product says its creators. “On March 23rd, I had a long conversation with our Solidworks engineer, Waleed Kahn, to start development of a small, easy to manufacture 3D printer using the same production methodology we used on the OpenCNC-ZA machines, namely sheetmetal. 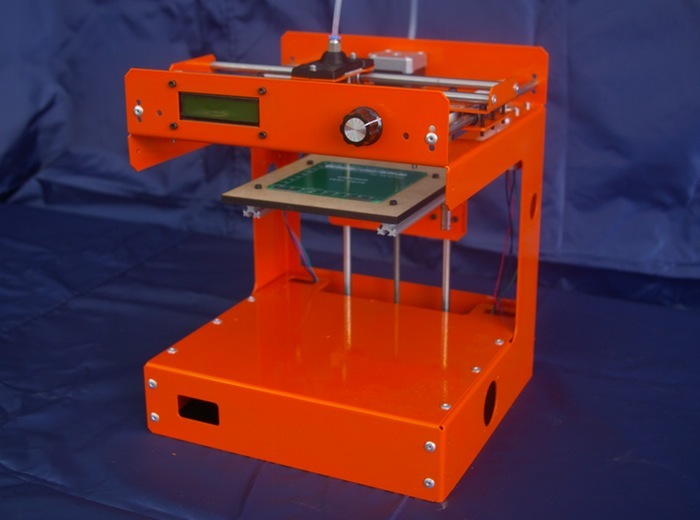 For more information on the new 3D printer jump over to the htxt website for details.